Will the real Francis Bacon please stand up? Francis Bacon (1561-1626) is considered by many as the founder of the scientific method, which is basically an organized way for us humans to attempt to answer questions about the Created order. A lawyer and a statesman, his greatest passion was in finding ways to improve and extend human knowledge, and this is seen in his written works like The Advancement of Learning. Francis Bacon wrote many things. He was also accused of many things, and a brief read of Wikipedia’s Francis Bacon Page will leave any reader confused about who Bacon really was, or wasn’t. Again, Bacon did not say never mix things divine and human, just don’t unwisely mix them. That is a BIG difference, one statement leading down a shifty, sandy, secular fundamentalist road and the other leading down a solid, Biblically grounded path for interpreting past, present and future events. So what was Bacon talking about when he mentioned “fantastical philosophy” and “heretic religion” (in Bacon’s day, “religion” meant Christianity) resulting from “absurd mixtures” of God’s word versus man’s word? It is difficult to say, but possibly one event he was referring to was Galileo’s recent problems with Catholic church leaders. In the early 1600’s, Galileo had reported, based on observations, that the Sun was at the center of our solar system. Church leaders said the Earth was at the center. Now, Joshua 10:12-13, Ecclesiastes 1:5, and Isaiah 38:8, all say the Sun “moves”, but make no mention of whether the Earth does or doesn’t. So why did Church leaders support a “geocentric” idea? Interestingly, geocentrism was proposed by Aristotle, and, even though he never made any actual observations of planetary motion like Galileo had, Church leaders accepted his unscientific claims over Galileo’s real observations. From what I have learned, it is obvious Bacon had some flaws, just like any of us, but I came away with a different conclusion than some as to what Bacon’s agenda was. What I saw was a man who thought it was perfectly reasonable to mix science and religion. One of his foundational verses was Matthew 22:29, where Jesus informed the Sadducees “You are in error because you do not know the Scriptures or the power of God.” Bacon thought men should know Scripture (God’s Word) and His power (God’s Works). This idea permeates all of Bacon’s works. McKnight has also published a book, The Religious Foundations of Francis Bacon’s Thoughts, and is a contributor to The New Atlantis, a journal of technology and society titled after one of Bacon’s most famous works. So what do you think? Should Francis Bacon be labeled the hero of secular fundamentalists and villain of Christian creationists? I say no, but you should read Bacon and decide for yourself. My suggestion is to read Francis Bacon: The Major Works. Unless you are VERY fluent in 1600’s era English, Latin and Greek, you will find yourself flipping to the notes in the back about every other sentence. I think you may conclude, as myself and others have, that Francis Bacon saw the important connection between science and Christianity, a connection that is badly severed in the 21st century, but not impossible to repair. The Bible can inform science, and thinking of it any other way results in an “absurd mixing”. 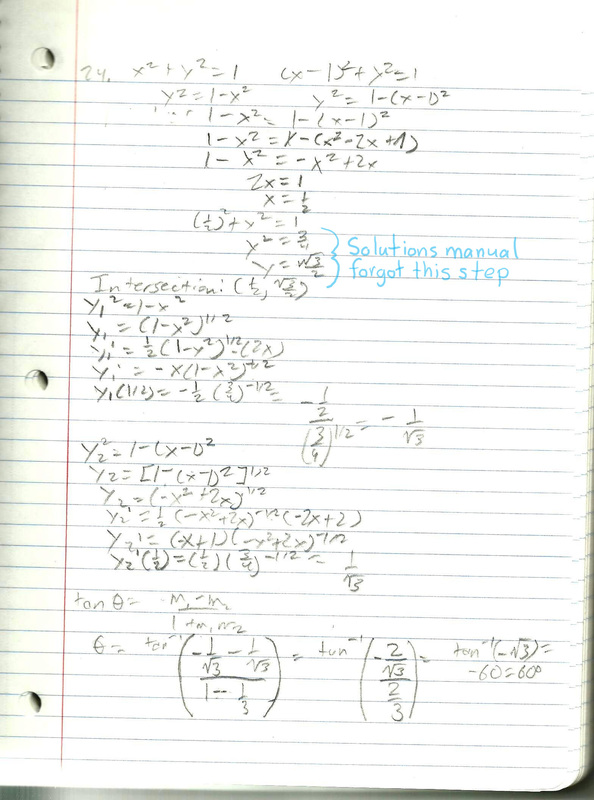 Last week, a student who uses our DIVE CDs emailed me to verify an error in problem number 24 of Saxon Calculus, 2nd edition, Problem Set 63. Although this error did not actually affect the final answer, it was an error nonetheless, and was missed by the editors of the Saxon Solutions Manual. EVERY curriculum has a few errors, including the products my company, DIVE LLC, produces, so the point of this article is not to ridicule Saxon Publishers for their errors. The point is to talk about educating children. If you visit the DIVE website or read a DIVE catalog, you will quickly understand that I think it is time to “raise the standard” in K-12 education, and this includes completing calculus in high school. I realize not every student can accomplish this goal, but there is nothing wrong with at least making that the goal with the possibility of falling short. So what is the big deal about this student who found an error? Well, he’s 12 years old. And he is home educated. By his parents. Obviously, this boy has an aptitude for math that exceeds that of most 12-year olds and even many adults, but the fact remains that he is almost halfway-through a course that is the equivalent of college Calculus I. And if there are 12-year olds out there who can do calculus, there are even more 13, 14, 15+ year olds who can do calculus. Error in Saxon Calculus 2nd edition solutions manual. Okay, so the handwriting is not super-neat, but give the kid a break, he's 12! Most people today realize the potentials of homeschooling, but strangely enough, there are still those who want to eliminate it. According to an article in the November/December 2010 issue of The Home School Court Report, American homeschooling is entering a “Third Wave” of persecution. The first wave had to do with education. Could parents really educate children at home? While there are some parents who do a really bad job at educating, the same can be said of many government and private schools. And in today’s world, 12-year olds doing calculus would be a real surprise in a government school and most private schools, but not in a home school. I believe God gave us the ability to do mathematics so that we could better understand His creation. I believe we should study math and science so we can know Him better and as Christians, act on the faith He gave us and get out there and be excellent at doing the work He has already prepared for us (Ephesians 2:8-10). I also believe we can study math and science without acknowledging its Author, but to do so, we miss half the story. There are those in society who actually think it would be better for us all if Christian 12-year old boys with above-average math aptitude were taken from their loving parents, placed in a large group, and taught a below-aptitude, godless curriculum. The boys would not learn that they were created in the image of the greatest Creator, and are therefore creative, too. Instead, their creativity will be stifled, supposedly so they fit in better with the group, and they will instead learn they were not created by a loving Father, but rather evolved from a meaningless pile of goo in a mysterious land that existed before history. And the people who promote such ideas are referred to as the “elites”? Really? The third wave of homeschool persecution is nothing more than misguided “elitists” wanting to replace Christian religion, where we are taught to love the sinner but hate the sin, with a secular fundamentalist religion that teaches to hate some sinners and love many sins. The first two waves taught us home schoolers to surf. Skills learned in the past will help us surf this bigger, badder, third wave, too, and ensure the current freedoms American parents have to teach calculus to their math-gifted 12-year olds. But we won’t keep these freedoms if we sit around and do nothing, so get out there and surf! How do giant canyons form? With water. Lots of it, coming from both above AND below the surface. How do I know this? Well, I don’t know for sure, because I’ve never witnessed the formation of a giant canyon like Palo Duro Canyon or Grand Canyon. However, there sure is a lot of evidence that makes it look like a high energy, short duration megaflood formed Palo Duro Canyon, contrary to ALL the other low energy, million-plus year ideas I have read about. For example the Texas Parks and Wildlife page on Palo Duro Canyon State Park says the canyon was “formed primarily by water erosion from the Prairie Dog Town Fork of the Red River, which began to carve the canyon less than one million years ago”. Picture of a small section of Palo Duro Canyon. Copyright 2010, David E. Shormann. Yellow is ancient Lake Missoula and Lake Columbia, orange is extent of flood damage. Google Earth image with a Texas Geologic Map overlay, clearly showing the outline of two ancient lakes. 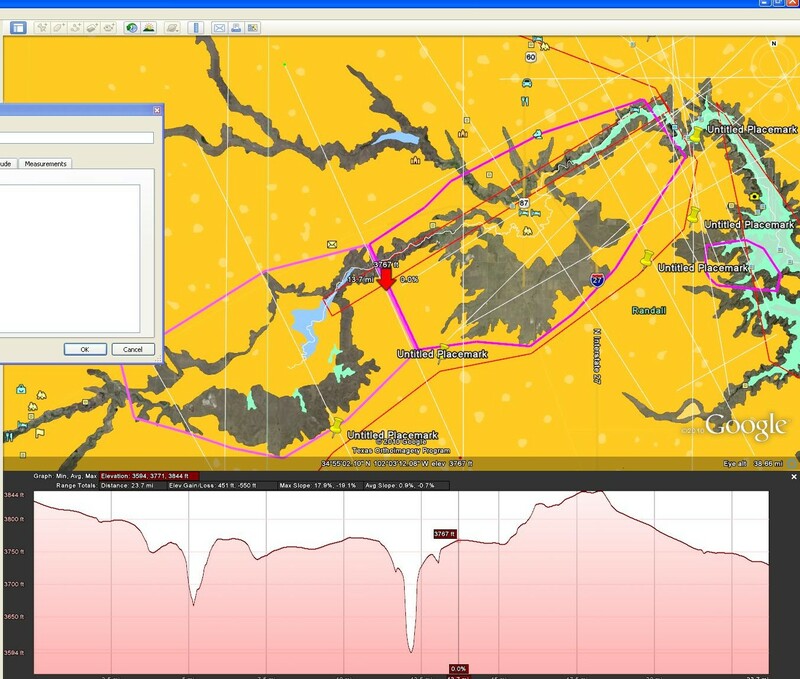 An elevation profile between the lakes reveals some uplift, suggesting that the two lakes may have been one large lake. The two lakes could have also been one large lake, with a surface area of about 200,000 acres. It is also interesting that Palo Duro Canyon is carved into one of the world’s largest sources of subsurface water, the Ogallala Aquifer. 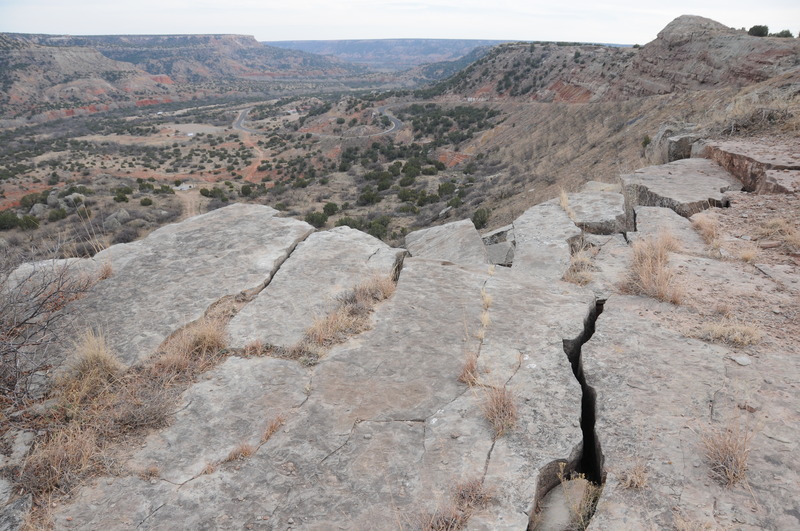 Consider a scenario such as heavy rains, or maybe tectonic activity, or both, causing the dam(s) on the ancient lake(s) to burst, initiating the carving of Palo Duro Canyon. As the floodwaters cut deeper, water from the Ogallala Aquifer began spilling out as well, adding even more momentum to the already high-energy flow coming from the breached dam. Is such a scenario possible? It is impossible to know for sure what caused this amazing event in Earth’s history, but I hope to find more evidence supporting a rapid formation hypothesis, and reform the story of Palo Duro Canyon. How do you think Palo Duro Canyon formed? If you have a question or comment, post it and let’s discuss.